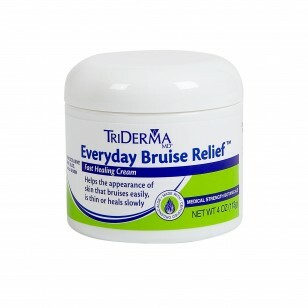 Everyday Bruise Relief™ helps diminish the appearance of bruising and redness. Plus, it helps soothe skin tightness, itching and dryness due to skin injury, medication, cosmetic or surgical procedures. 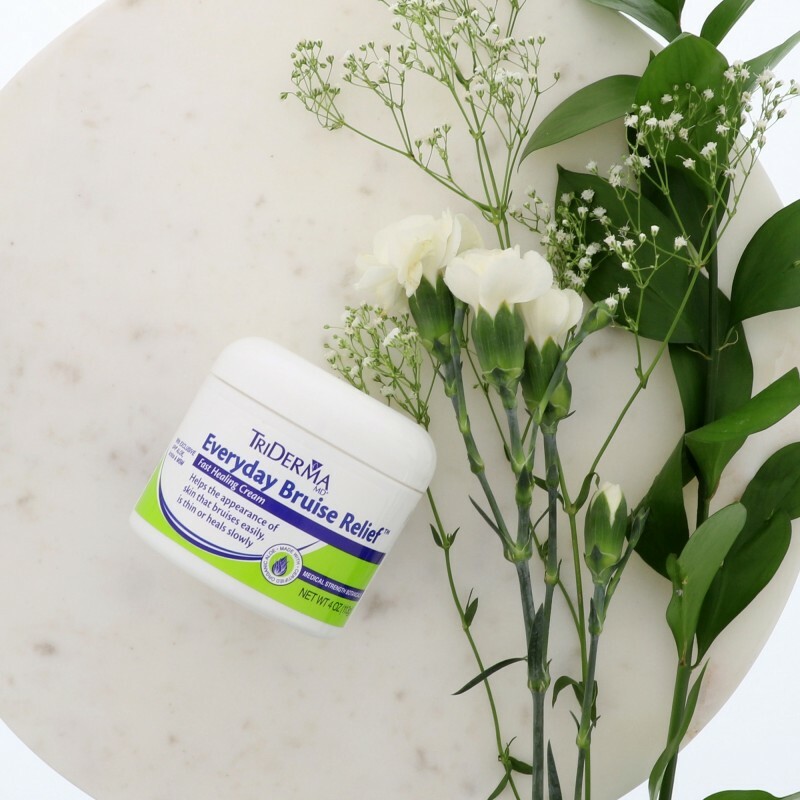 This concentrated silky cream contains AP4® Aloe Vera Complex, MSM and extra Arnica. It may be used daily to help maintain the appearance of healthy skin. I had a fall that left me with a huge bruise on my arm. I am diabetic so I expected to have the bruise for a while. A friend gave me a sample of the "Everyday Bruise Relief". The bruise was gone in a week. Amazing product. At our house with 3 kiddos, we call this the "boo boo cream". It really is great for so many things. With the bonks and bumps that seem to happen with little ones, this is great. It's soothing and really does seem to speed healing. 2 of my 3 have very sensitive, eczema prone skin, and this is gentle enough for them. We can even put it on the little forehead konks without worrying about it by the eye area. I highly recommend it! I take meds that make my skin thin and easiley bruised and often torn. My daughter bought triderma for me. After using it for a few weeks, I saw the red marks where I bumped myself getting lighter sooner than in the past. I sent for two more tubes and until I'm off the meds and my skin returns to normal I'll continue to use triderma. It's the most helpful of all those I've tried. Apply generously to bruised or injured skin as soon as possible. Repeat several times a day until bruising is gone. May also be used daily to restore and help maintain healthy skin. Safe for use on sensitive skin. aloe barbadensis (aloe) leaf juice*, dimethyl sulfone, arnica montana (flower) extract, isopropyl palmitate, caprylic/capric triglycerides, cetearyl alcohol, polysorbate 60, beeswax, tocopheryl acetate (vitamin E), C12-C15 alkyl benzoate, allantoin, behentrimonium chloride, cyclopentasiloxane, cyclohexasiloxane, hydroxyethylcellulose, sodium hydroxide, phenoxyethanol. "The Everyday Bruise cream is wonderful. I was embarrassed to go anywhere because my arms looked so horrible or I had to wear long sleeves in the Texas summer heat. Now my arms look almost normal again. Hooray!" Patricia E.